7 Halloween Events Worth Travelling For - Plan Your fall vacation around one of these Great events! Next to Christmas, people in the United States spend more money on Halloween then any other holiday during the year. There are Halloween events all over the country throughout the season. So if you are taking a vacation in October, or would like to celebrate Halloween away from home, choose one around one of these great events for an excellent vacation! Universal Studios in Orlando has hosted the Halloween Horror Nights for 22 years now (as of 2012)and it is know as the best Halloween event in North America. While it can be expensive, if you are looking for a scary time, then plan your vacation around it. While I don't necessarily recommend it for kids, we address the question "Is this for kids" in our Halloween Horror Nights article. If Florida doesn't work for your Halloween vacation, then Universal Studios in Hollywood, California also has a Horror Nights event with mazes, Scare Zones, and other fun shows and attractions. Ohio's number 1 Haunted attraction, and touted as one of the scariest haunted attractions in the country, The 7 Floors of Hell, promises to scare the pants off you a minimum of 7 different ways! 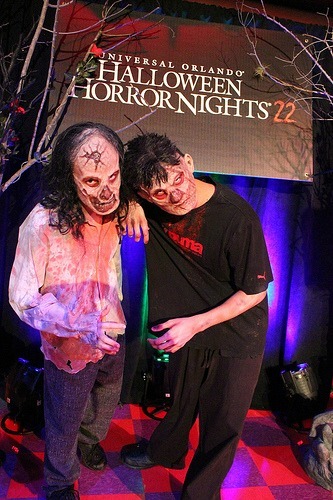 They create 7 new haunted houses each year, and in 2012 they had a "Body Snatchers House", the "Jigsaw" house, the "Zombie Apocalypse" and many more. Admission is $25 and they run mainly on weekend from mid September until Halloween. They will even take your photo for you so you have a great souvenir! 3) Las Vegas is a Blast! For Halloween of 2011 we decided that we would try visiting Las Vegas for the first time. We LOVE Las Vegas, and have been there on Easter, Christmas and even New Year's Eve. We LOVED Halloween! Now having said that, I would not recommend it for kids, only because some of the costumes were, hmmm how can I put it, I know "not appropriate" for little kids eyes. Now on a regular Saturday night you would find some outfits that show a lot of skin, but Halloween takes it to a whole new level! There is SOOOO much to do, and for every budget level. Most clubs have big Halloween parties including the famous "Fetish & Fantasy Halloween Ball" at the Hard Rock Hotel & Casino or they bring in guest DJ's like Deadmaus at XS at the Wynn. Or look for one of the special Halloween experiences like the Haunted Hotel Ball at the Mandalay Bay or the Halloween Parade on Freemont Street. You don't even really have to go to an event in Las Vegas to have a great time. Just dress up (or don't) and walk the Strip. You will be amazed at the costumes and it is just one big party! New York City has so many awesome events for Halloween, but nothing compares to the Village Parade on night of Halloween. You can participate or watch the Parade, although they ask that only people in costume participate (which is fair in my mind!). It is the countries "... most wildly creative public participatory event in the greatest city in the world!" according to their website. The participants include regular people who dress up in costume and walk in the parade and many bands, dancers, artists and puppets! 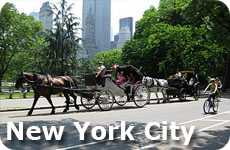 You can watch it Live or on TV and the Parade starts on 6th Ave at Spring Street and goes up 6th Ave to 16th Street. You will find most of the crowds between 14th Street and Bleecker Street, so get their early, or choose another part of the parade route. Unfortunately due to the damage caused by Hurricane Sandy, the parade was cancelled for 2012. I think we will put this on our list for the next time we are in New York City! The last 5 Halloween Events are kid friendly and will be a lot of fun! They are mostly OK for little kids, but make sure you do your research and know what your kid will like or be terrified of. Disney World decided to get in on the Halloween fun by offering a less scary option for kids and their families. You will find kid and adult guests alike dressing up for this event. It is also a "pay extra" event like the Halloween Horror Nights at Universal Studios. Make sure you go on a Monday to Thursday to avoid the crowds. It can get expensive but most people agree that it is a great night of fun and worth the money. Enjoy the Halloween parades and fireworks and see the most Disney villains together at one time! The kids get to trick or treat at the Magic Kingdom - How cool is that? 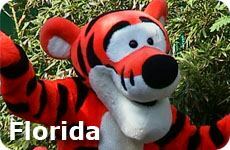 If you can't make it to Florida, then both Disneyland and Legoland in California have Halloween attractions and parties too! 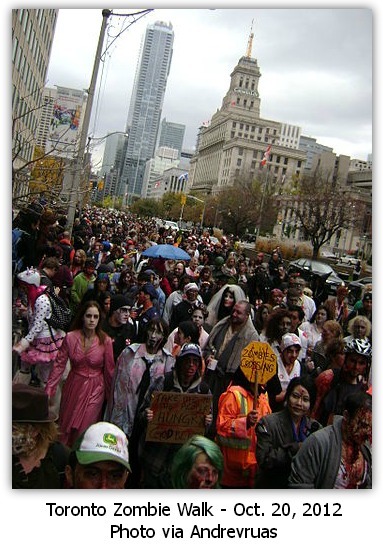 There are Zombie Walks in many major cities, including Melbourne Australia, Phoenix Arizona, and Long Beach California, However, I am going to highlight Toronto because it is our hometown and because it is one of the largest and best Zombie Walks in the world. Started in 2002, the Zombie walk is an annual Halloween Event that takes place on the Saturday about 10 days before Halloween. Even thought the weather wasn't too good, they still had a larger turn out then they expected in 2012. While in Toronto, don't miss the Halloween Events at Canada's Wonderland. Every weekend evening, but it is strongly advised not to bring kids under 13. It is similar to Universal Studio's Halloween Horror Nights. There is no where in the USA that does Halloween better than the original spooky town in America. Known for the Salem Witch Trials in the 1600's, Salem knows how to do Halloween right! 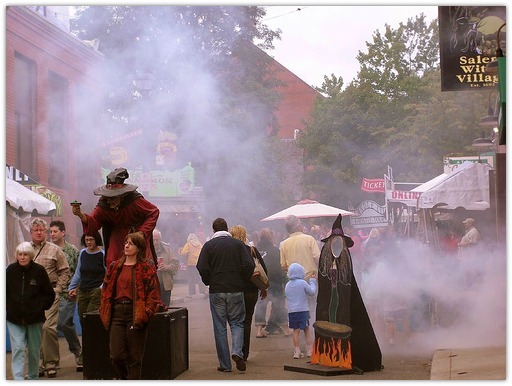 From the Halloween Carnival to the Haunted House in 3D at "Salem's 13 Ghosts" to the Wax Museum and of course the Salem Witch Museum, there is so much fun to have in Salem. Whatever you choose to do for your October vacation, make sure you include one of the amazing and spooky Halloween Events around the country.